Our services include a visual inspection of the outdoor and indoor complaint areas. 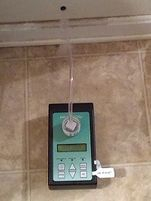 We air test to see what you are breathing, a swab sample if you think you have visible mold, or perform an in-wall air sample to check for hidden mold behind your walls. All samples are shipped to a certified AIHA (American Industrial Hygiene Association) laboratory. The lab will email us the results, we will interpret them and along with our inspection write a report of our findings and how to proceed safely. The clients receive a report from us along with a report from the lab describing the organisms found along with the health effects associated with that particular organism. The picture to the left is an example of an in-wall air sample (destructive testing). Not all homes require an in-wall air sample. Mold is ubiquitous in nature. It has been around since the beginning of time. It's even mentioned in the Bible (Leviticus 13:47-52 and Leviticus 14:33-36 if you are interested) We live and breathe in mold spores every day. In the proper conditions when the indoors is at higher levels than the outdoor levels, it starts to breakdown the cellulose or porous material it is growing on. It releases microbial volatile organic compounds (MVOCs) which is the musty odor you smell. We highly recommend that if you are about to move into a home, whether it's renting or buying, that you have it tested. Beware of some sellers and landlords as some tend to try to cover the issue instead of solving the problem, therefore you are still breathing in the spores. 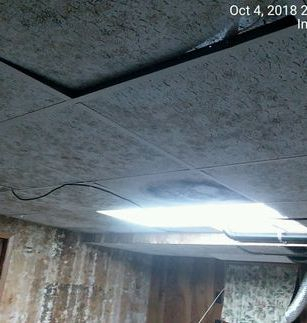 Even dead mold can be harmful. 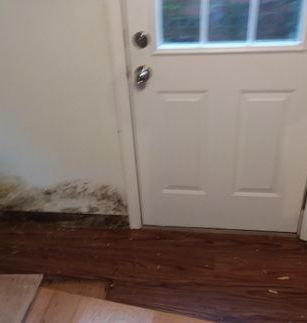 Using bleach to try to kill mold does effect its toxigenic or allergenic properties so to try to clean it on certain surfaces does nothing but spread the spores through the air possibly contaminating a non-contaminated room. Just the act of using a spray bottle and spraying the mold can aerosolize and spread the spores from a contaminated room to a non-contaminated room. 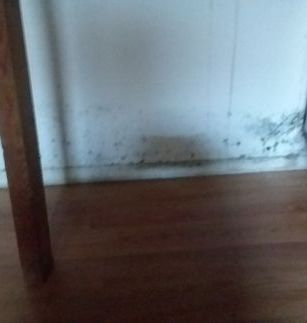 Mold can be hidden behind walls, toe kicks, and baseboards, ect. If you try to cover it, I promise it will grow back. Professionals should come in to investigate, test and recommend a protocol for eliminating your issue. See below for remediation. Even the cleanest of homes can still have high levels of mold, meaning it will grow in places that are not seen by the naked eye. Although you have a better chance in keeping the home clean, you can't fight mother nature. 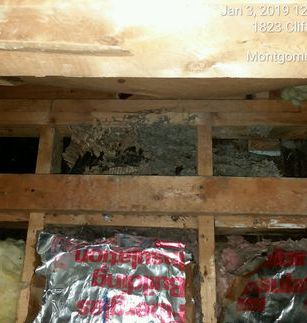 The biggest attribute in mold growth, is moisture. Moisture can come from leaky roofs, pipes, windows, humidity, and condensation. Cooking adds humidity in the air as well as does the human body. Having a lot of people in the home all the time can add to the humidity level. This can promote mold growth. Adequate ventilation is required in these cases.Having air testing done is a smart choice as opposed to unwanted and/or unnecessary remediation that you could end up paying for. The fact is, the sooner your home is tested, this will help with possible future expenses and/or lawsuits and cheaper it will be to fix if there is an issue. This would also help give you peace of mind for you and your family on what you are breathing. People who are most effected are people with allergies, low immune systems, chemo patients, asthmatics, children, the elderly, and pregnant women. 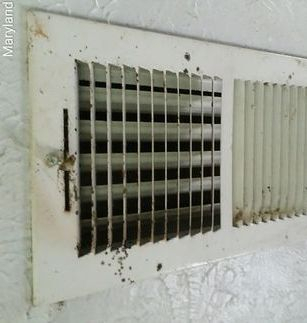 At higher levels of mold even people with normal immune systems are still at risk. It is just at what levels of mold, will make them sick. There is no threshold limits for mold, so typically the concentrations indoors should be similar to the outdoors for a healthy home. With that being said, 3 samples should be taken at a minimum, outdoors as a control, in the complaint area, and in a non-complaint area as per protocol. Mold enters the body in 3 different ways: through the skin if you touch it, ingestion if you eat it, and inhalation. Inhalation being the most prevalent. Mold can cause numerous reactions including but not limited to cough, sneezing, headaches, pinkeye, itchy watery red eyes, skin rashes, and difficulty breathing, just to name a few. Mold is a living micro-organism and can be very easily dispersed throughout the home. Think of blowing over a dandelion and watching them spread. The same reaction can happen when mold is handled improperly. A professional should test for the problem and instigate a protocol for clean up or remediation. 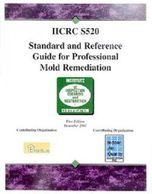 It is stated by the IICRC (Insititute of Inspection Cleaning and Restoration -This is the standard for professional remediation and the manual for which most remediation companies are certified) that an independent 3rd party should do the testing and recommend how to clean up, remediate if necessary and prescribe recommendations to fix the source of moisture. Having an unbiased and independent 3rd party can save you thousands in cleaning it up. It is a conflict of interest for a testing company to do remediation. If remediation is being performed, be sure it is done by professionals to prevent cross contamination throughout the rest of the residence. 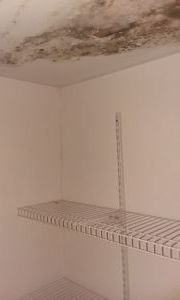 Mold is not a stain on your wall,it is a living organism, spreads very easily and should be taken very seriously. After remediation is complete and before containment is taken down, post remediation testing is recommended to ensure the spore count is similar to outdoor levels. This is all the more reason to use an independent third party that has no affiliation to the remediation company so you know we have your best interest at heart. If you were having a house built you wouldn't want your builder to be the inspector.